Have you been the victim of theft or vandalism? Are you wondering if there's something more you could be doing to protect the physical security of your sites? Unfortunately, incidents of vandalism and theft are on the rise and you need to do what it takes to protect your important assets. Many are hesitant to purchase new security equipment, only to pay the price later when they lose so much more in value from theft. This diagram shows how the Entry Control Unit (ECU) with LAN can be used to monitor entry points. Know how to keep your mission-critical gear safe from vandalism. Theft and vandalism likely won't happen to me, so why do I really need security? Whether or not you've been the victim of theft or vandalism, your unmanned sites are vulnerable. An alarming amount of theft and vandalism is done by employees, ex-employees, and contractors. With industrial crime on the rise, any site you leave unmanned is vulnerable. Don't take an unnecessary risk. Protect yourself. Why do I need entry sensors - what's wrong with a lock and key? Physical keys are easy to copy, which compromises the security of your sites. Lost keys can also generated excessive amounts of costs. Each time a key is lost you have to replace all of the locks, because you never know who may have ended up with the lost key. Old fashioned lock and keys also can't provide you with entry and exit data, so you'll never know who is accessing which building, or when they are doing so. What are some advantages of entry sensors and a building access system? The big advantage of electronic locks is the efficient control you get with electronic access. You can keep track of who enters the building or site and you never have to worry about changing the locks - since you can just remove a keycard from the database and it no longer compromises your security. This is also great for disgruntled ex-employees - as soon as they leave your company, you can remove their access privileges. This greatly lowers your exposure to risk. What are the elements of a well-designed building access system? Master station - Interfaces with your site controllers and provides centralized management. 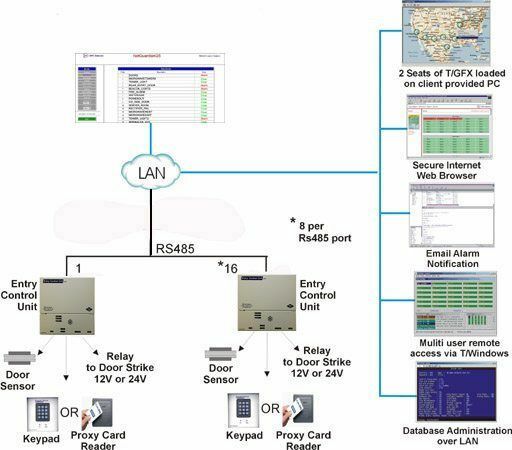 Site controller - Controls local access at your site. Controls and records all valid entries, attempts, and the time of action. Entry control unit- Used in conjunction with a proxy reader or keypad, which releases the door strike when it detects a valid access card or code. Keypad or proxy reader - The access panel that allows for the user to swipe their card or enter their access number to enter the building. Sounds expensive and difficult, do I really need this? 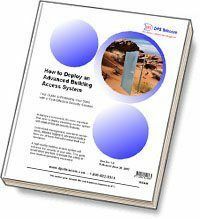 Choosing the right building access system doesn't have to be a hassle - and it certainly doesn't have to be expensive. A good vendor will work with you to help you design the perfect system to fit your exact needs. And by preventing one incident of theft or vandalism, your building access system could pay for itself several times over. The first step to choosing the right system is arming yourself with the right information to make the right choice. You don't have to make this important decision alone. This White Paper will help you get started choosing the right system to enhance your security. For more consultation on how to make the right choice, call (1-800-693-0351) or email (sales@dpstele.com) the DPS Telecom experts. They can answer your questions and concerns, and help you choose the right system to protect your sites. You may also use the form below to get in touch with Mac Smith, who can also help you start protecting your valuable equipment. It's 7:50 AM on Sunday at our Fresno, CA, USA headquarters. We'll start work on your quote first thing on Monday.